We at Extra Mile Powerwashing salute all dads on this Father’s Day weekend who take time to invest in the lives of their family members all year long. We hope the day is a great one for all who take on the noble cause of being great fathers to their children and making the sacrifices that often come with being a dad. The Father’s Day gift has become somewhat of a joke, with the punchline being an ugly tie or after shave, that is — and rightfully so in most cases — never used. If those were done, could you spend the day with dad at the park or riding bikes or fishing? He would probably enjoy spending an entire Sunday with family and not worrying about the pressure washing jobs that need to get done. With those being off his plate, he can enjoy the nice summer weather after enduring a long, cold winter and a long, wet spring. With that in mind, he probably wouldn’t even mind picking up part of the bill. It may not be something he would purchase for himself, but in the end, he would be happy for the help of cleaning up the house and having some precious time with those that matter most…his family. 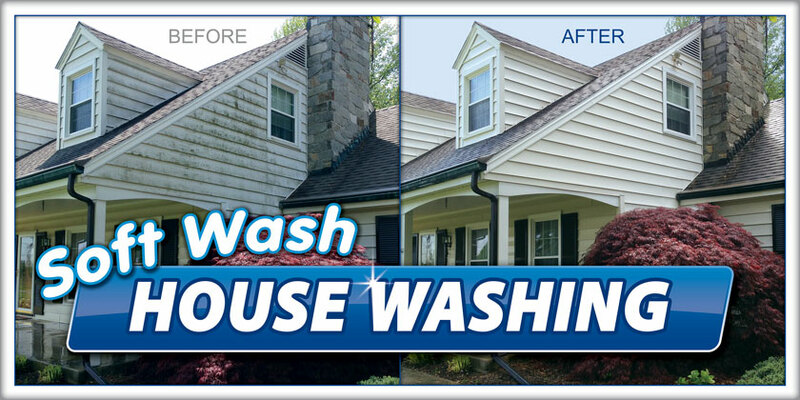 We use our softwash technique — low water pressure combined with gentle, environmentally-friendly detergents — to clean gutters, siding, roofs, sidewalks, fences and just about every type of surface found at homes and businesses in the region.